AAA wins the international pitch competition "Get In The Ring" | category "Heavy Weight" ! 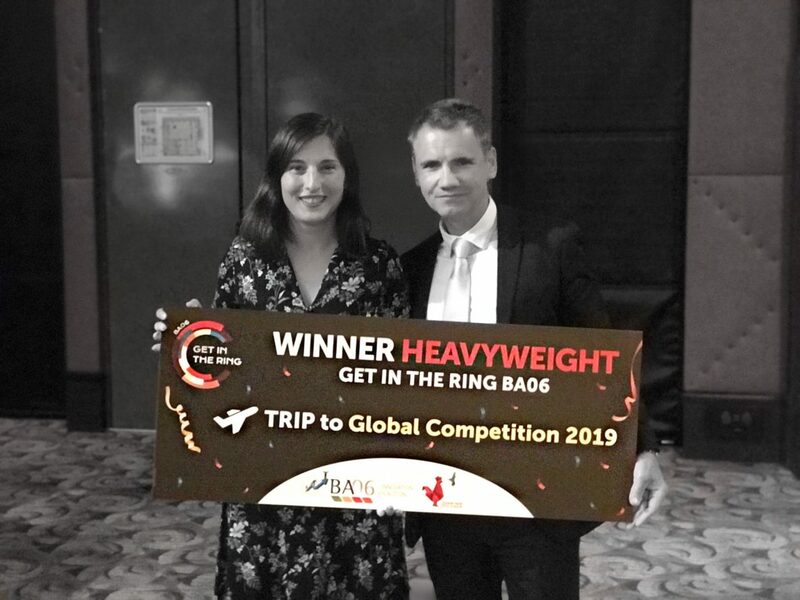 Adina Grigoriu, co-founder and CEO of Active Asset Allocation won the international pitch contest Get in the Ring in the category Heavy Weight. Adina Grigoriu was competing in the contest final against Marc de Gibon, founder of Cuddl’Up. They were both on a ring, pitching in 30 seconds various advantages of their companies to convince investors and the jury of their companies potential. Le contest organised by BA06 International on the 10th of Octobre 2018 in Cagnes in the South of France, gathered over 30 start-ups : 18 in the Lightweight category (company valuation below 500 k€); 7in the Middleweight category (company valuation between 500 k€ and 2,5 M€); and 7in the Heavyweight category (company valuation above 2,5 M€) including Active Asset Allocation. Next Step : The international contest in 2019! In the press : Active Asset Allocation in the press after winning the competition Get In The Ring ! Active Asset Allocation serving Green Finance at Climate Finance Day !